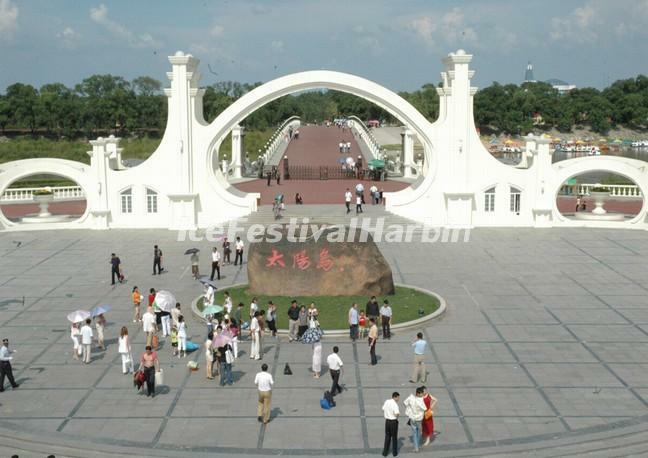 As the first 5A national scenic area in Heilongjiang Province, Sun Island is the pride of the locals and the pursuit of visitors. Every year, thousands of tourists arrive in Sun Island. Situated in the downtown of Harbin and on the northern bank of Songhua River, the island is the only floodplain wetland ecology in the city's center in China. In the 1980s, the song On the Sun Island by Zheng Xulan spread the name of the island far and wide. The Sun Island park is the perfect place to free from hot sun in summer. Here, you can embrace the white sand, blue water, green field, blooming flowers, and cool weather. In winter, the island covered with white snow presents another beauty. It becomes a paradise for ice-snow travel. Sun Island is used as the playground for various winter sports. Skiing, Hockey, skating, and sledding games are all organized here. 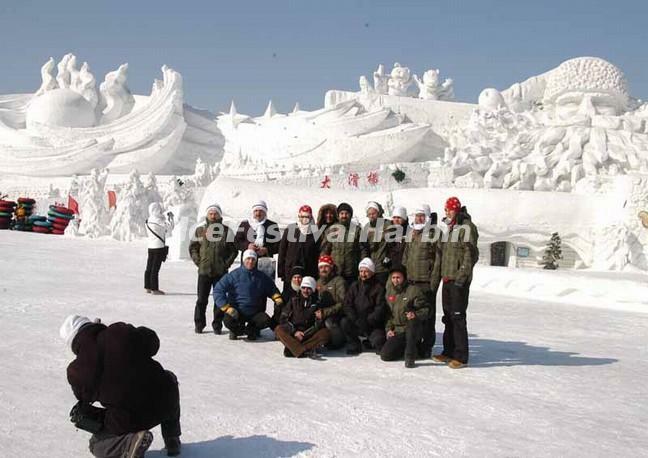 At this time, the Sun Island International Snow Sculpture Art Expo will be held for about two months in the island, exhibits enthralling ice or snow sculptures and architectures. Exquisitely arts of ice and snow sculpture all splendid. 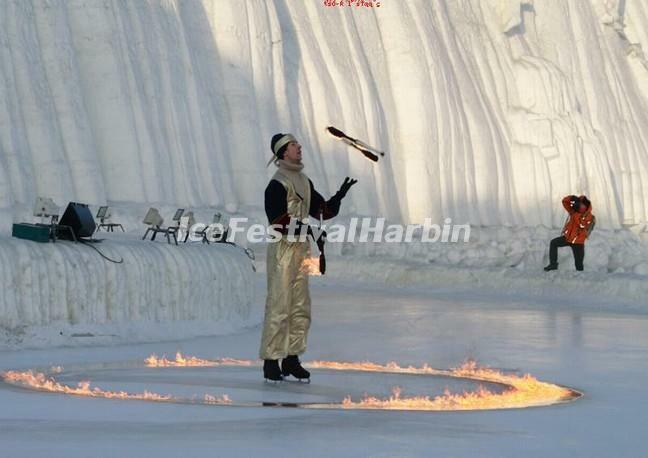 Besides, the island park possesses the never-down spectacle, the Harbin Ice And Snow Art Gallery. When you walk in, the space is bizarre and motley, dreamful and illusionary as if the winter is just in front of you. Shuige Yuntian: It adopts the modern garden-making technique, and is built by the water. It is consisted of long corridor, side porch, and square pavilion. Squirrel Island: It covers an area of 2.4 hectares. On it, a number of feed points are set for squirrels. In total, more than 1,600 squirrels are domesticated on the island. Yuri Platform: It is on the east side to the Sun Island’s embankment. Here, tourists can be presented with the natural scenes of open, vast, grand and spectacular field. Tatou Marsh: It offers environmental improvement, dust adsorption, waste water purification, water restoration, humidity adjustment and other magic functions. Russian Town: It has 27 villas or houses built in Russian architectural art, bring the simple but rich Russian style and reflecting the open history of Harbin and the attitude to respect and protect the foreign culture. Deer Garden: It raises more than 30 tamed spotted deer, enabling people not only to appreciate and approach deer, but also to experience the harmony of coexistence between mankind and animals on the one hand, and between animals and nature on the other. Sun Island Ice and Sow Art Gallery: It covers a total floor area of 5,000 square meters, and presents the exhibition for more than 100 ice landscapes. With 10,000 cubic meters of ice and snow, it is the largest indoor ice-lantern and snow sculpture gallery in the world.